Do you see yourself in these statements? In my experience, these inner aches and pains correspond to seven primal God-given needs that all men feel deeply. 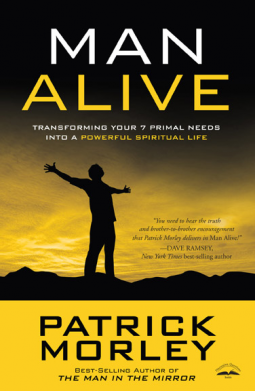 And in Man Alive, I’ll show you something surprising—God’s plan to harness that raw, restless energy you feel, pull you out of mediocrity, and propel you toward the life you were meant to live. I promise you…there is a way. No man should have to settle for half alive. You can become the man God created you to be. You can experience a powerful life transformed by Christ. In the book you’re holding, I’ll show you how.